Anti-regime activities in southern Syrian areas formerly held by rebels have flared up again, including both peaceful expressions, such as graffiti and demonstrations, but also violent incidents. More than a dozen pro-regime fighters and intermediaries have been killed in a series of hit-and-run attacks since November. These attacks are especially significant in a region that the regime just captured a few months ago, emphasizing that the country is very much still in a state of war. While abuses and bad-faith negotiations by Damascus are largely to blame for provoking renewed violence, the example of Daraa makes it clear that peace will remain elusive in the absence of a comprehensive and fair political solution. Following the regime’s capture of the south in July, achieved largely through negotiations, its intermediaries and intelligence agencies started opening regional offices to process local residents’ plea for clemency. The process theoretically provided the signatories with general amnesties, which typically was supposed to exempt them for six months from the obligatory military conscription required of men of fighting age. 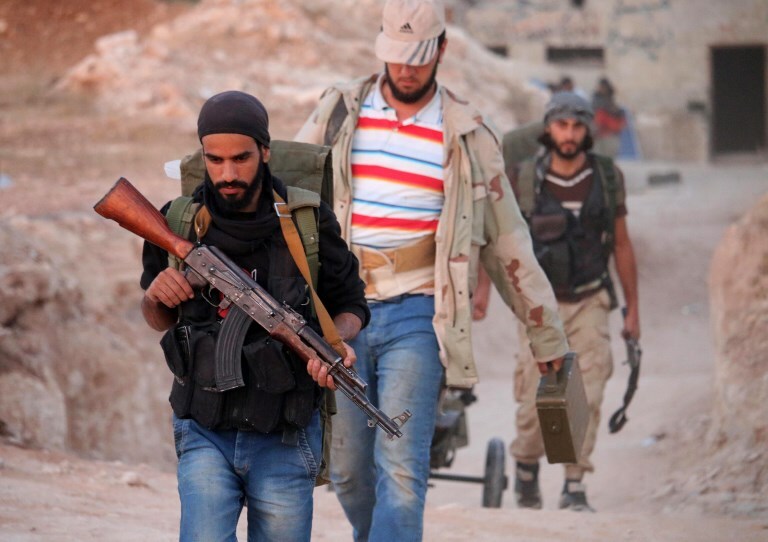 Despite those guarantees, however, the regime has continued to arrest local residents, including civilians as well as former rebel fighters, even when they were in the process of turning themselves in. Reports show that authorities detained at least 68 people in October alone, while more than 30,000 men have been called up for enlistment, including both new recruits and reserves, before the six-month grace period expired. Every indication is that the gradual increase of regime violations is what motivated the renewed resistance after months of relative calm. In a trend similar to the early months of the uprising in 2011, anti-regime sentiment has been expressed through non-violent acts, with familiar slogans such as “down with Bashar” and “the revolution is ongoing” painted on the walls of government buildings in towns such as Al Karek, Al Mazyrb, Nawa and Al Sanamayn. On the other hand, guerrilla tactics, such as hit-and-run attacks and ambushes, have also targeted various pro-regime forces in the region. One early attack hit a regime checkpoint in the city of Jasmin on November 24, killing two members of the national intelligence agency. A day later, a larger coordinated operation resulted in attacks on multiple checkpoints in the city centre of Al Sanamayn, killing more than 6 fighters. While some checkpoints appear to have been targeted randomly or for operational reasons, others seem to have been prioritized because of their reputations. For example, a military intelligence checkpoint between the towns of Al Karek and Al Gharieh was apparently attacked because of the practices of its personnel, including arresting local residents as well as soliciting bribes. At the same time, a group calling itself “the popular resistance in the south” has emerged, in the media at least, claiming credit for the attacks and announcing a new phase in the fight against pro-regime forces. The “popular resistance” made its first public statement to the Arabic news website Geiroon in November by declaring war against the regime, its local intermediaries and Iranian-backed militias operating in the southern region. A spokesperson of the group, identified by the pseudonym Al Sief Al Horani, or the Sword of the Horan region, claimed the group of former rebel fighters and other men facing obligatory conscription was continuing the rebellion. The secrecy surrounding the group and its members makes it difficult to verify whether it actually has operational capability, or is just taking credit for attacks carried out by unidentified individuals who are staying out of the spotlight. Given the multiple threats of infiltration, leaks and capture, it makes a great deal of sense that those behind the attacks might want to operate covertly. The regime has applied a mixture of incentives and coercion to counter this new resistance and to ferret out the people behind it. Government delegations, including parliamentary members, intelligence officials and even the Grand Mufti of Syria, Ahmad Badreddin Hassoun, have visited Daraa recently in an attempt to ease tensions and defuse local resentment. The overtures, however, have been combined with the stick as the regime’s agents step up arrests of suspects in the attacks and those believed to be supporting them, including former activists and rebel fighters. So far, the strategy has failed, as the detentions further fuel local resentment already simmering because of the lack of public services. It is difficult to predict if anti-regime activities will increase and destabilize Daraa, where the Syrian uprising first began in March 2011. But the situation shows all the conditions needed for stiffer local resistance to re-emerge: residents resent the regime, have little hope for the future and are equipped with the military experience and weapons to fight back. Many did not hand in their light weapons during negotiations earlier in the year. Defusing that ticking time bomb and stabilizing the region can only be achieved by reaching a fair and just, UN-backed political solution that ends the violence in Syria by addressing the root causes of the conflict.